These West Loop apartments offers an ideal location if working in the Chicago Loop. 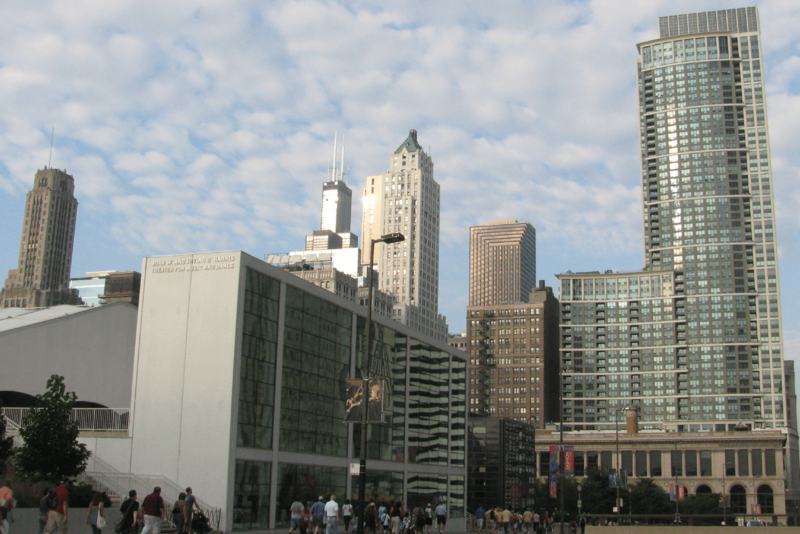 You're just a short walk to work, and to the wonderful entertainment and shopping opportunities of downtown Chicago. If you work outside the Loop, the Ogilvie Station is within a minute walk - allowing residents a relaxing and convenient commute. These West Loop apartments are also located within steps of the Green and Pink lines, easy access to the highway, which offer residents a ride to virtually anywhere in Chicago. As for building features, there is a roof-top sun deck with a 270 degree view of downtown Chicago! All apartments feature granite countertops and stainless steel appliances, as well as washer/dryer units. Beautiful hardwood floors in the foyer and kitchen area add to the luxury apartment feel. A utility package covers your heat, AC, internet, cable, gas, sewer, water, and trash removal to help you save on your monthly budget. Balconies, floor to ceiling windows, and walk-in closets are available apartment options.